I decided to check out Bluehost over my vacation. I wanted to see if I could save some money with their free SSL certificates. So I spun up a account and started to play with it and this is what happened. After I gave Bluehost my credit card info and set my password I got locked out for a while and could not get into my account. I started to panic but then I thought maybe this has something to do with the account setup. After a few attempts to log in and a few page reloads it started to work. During the setup process, they asked if I already had a domain I was going to use so I typed in my domain. But it turns out that was a bad idea. I had to call support to get FTP access to my account because Bluehost setup the FTP access to my account using that domain. But that domain had not been moved to them yet so it was still pointing to the old host. I was also not willing to move my domain with my main e-mail account to Bluehost without some testing. Support ended up giving me an IP address to FTP into the account. As I was clicking around trying to learn things the cPanel kept failing to load leaving a blank white page or giving some random error. Refreshing the page fixed this but it was annoying. Most of the errors did clear up eventually so maybe it had something to do with the account setup. But the cPanel was still sluggish and slow to respond. There cPanel also seems to be overly simple. It is very easy to do some task but if you need to tweak anything advance like a DNS record you have to dig to find it. Maybe you would get used to it after a while but I think the 1and1 interface is easier to use. But maybe I am just used to that one. I started to copy files over and moved a spare domain I had to Bluehost. Bluehost noticed it was a WordPress site and gave me a new control panel I did not see before. It looks like you can manage your WordPress install right from the Bluehost cPanel. I was able to go to security and add the free SSL I wanted and everything seemed to be working great. I decided to switch my main domain’s name server over to bluehost to try that out so I setup matching e-mail accounts, subdomains and databases. Then I updated the name server at GoDaddy. Turns out you cannot point your primary Bluehost domain to a folder on your host. It will always point to the root. I have multiple domains and always sort them into their own folders so this was annoying to me. After some looking I found an htaccess file Bluehost supplies to point the main domain to a folder but it did not work with my site. I already have htaccess files and they were conflicting. Then I remembered I got a free domain with my Bluehost account so I went to pick some random throw away one so I could make it my main domain but they wanted to charge me. So I contacted support a second time and got a free domain. While I had support I asked about switching my account’s primary domain. They said I could but not right now because the account was still being set up. At this point, I had already spent 3-4 hours in the cPanel trying to learn and migrate things over. So I was surprised the back end setup was not finished. But I said ok and I thanked them for their help and I went to bed. I woke up the next morning ready to do more work on Bluehost. I started by trying to add a free SSL certificate to another domain I had moved over and I could not find any option for it. After looking and looking I saw nothing. When the site was WordPress based the option popped up but this domain was not a WordPress site. I ended up finding SSL certs in the marketplace you could buy and 1and1 was cheaper so I decided I would just close my Bluehost account. I contacted support for the 3rd time now to close my account. They asked why and I told them and support said they have free SSL for all sites, not just WordPress. After 10mins of the support person looking at my account, they said there was a “known issue” with the cPanel and a “task was not finished”. But they got SSL on my other domain. While the support was on the line I asked about changing the main account domain like I was trying to do the night before. But this mysterious unfinished setup task was still preventing me from doing that and they said there was no ETA on when it would be done. So I thanked them for their help and said I would check back in a few hours. At this point, I have put 5-6 hours of work into learning and migrating to Bluehost and I only have a test domain with SSL to show for it. It has also been about 10-11 hours since I set up the account and there is still some mysterious setup task that is still not finished on my account. So I went out with my family and got some food while I waited. While I was out I kept thinking about all that had happen up till now and I asked myself am I really comfortable with using Bluehost at this point? Did I want them hosting the domain of my primary e-mail address and SVN server? 1and1 has been my host for years and I have never had these kinds of issues. On top of that, the cost savings of the free SSL certificates was not worth the time I have put into this migration so far. So I contacted support for the 4th time in order to close my account. I felt sorry for the guy. He was trying super hard to help me and to fix my complaints. But my vacation was about over and I did not want to spend any more time on this. Bluehost seems to be highly focused on WordPress. If you’re running a WordPress site, then it may be perfect for you but if your running anything else or trying to do anything advance then you may be fighting the interface a lot. 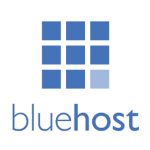 Bluehost’s customer service is top notch and they were quick to help. The few times I have had to contact 1and1 support was not the best experience. One time I even had to send tracert logs to prove they had a problem. But at the same time, I rarely have a problem with their hosting. 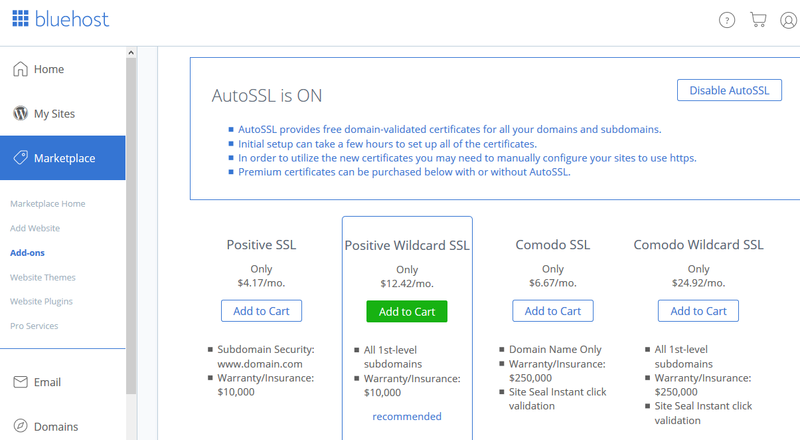 Bluehost will give every one of your domains a free SSL certificate. But you may have to dig to find the option. Bluehost wants you to do at least a 1-year contract while 1and1 lets me pay by the month. Bluehost did refund me part of my cost because I closed my account within 30 days. But I had to eat the cost of the “free” domain they “gave” me. For me Bluehost seem to be very buggy. At this point I plan on staying with 1and1. Their service seems to be geared more to professionals with lots of info and settings to tweak while Bluehost attempts to hide that stuff to make the interface simpler for someone who just wants a quick WordPress site. I also had to contact Bluehost support 3 times in less than 17 hours and I have probably only had to contacted 1and1 support 3 times in the last 5 years. This entry was posted in Reviews on August 4, 2018 by Zack.